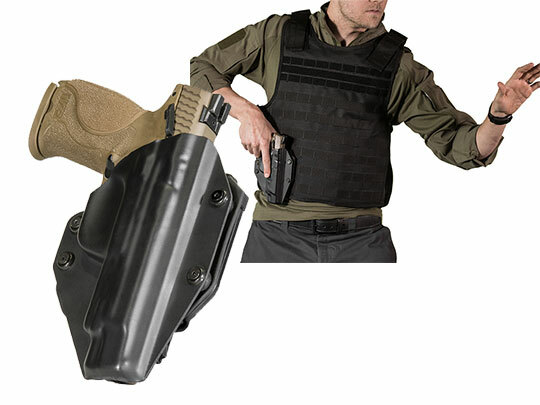 A Colt rail gun holster needs to do at minimum one thing right: keep that gun comfortably, reliably secured to the body until it's needed. Our holsters for Colt 1911 Rail Gun 5 inch railed models are made in America to consistently deliver on that promise and more. 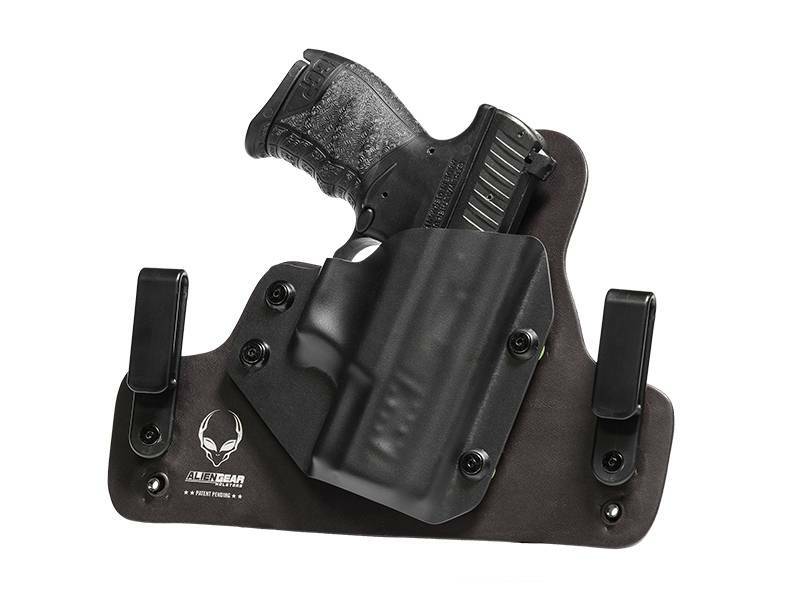 There are two OWB holsters, two IWB holsters, swappable shells and mag carriers available for your exact Colt 1911. They're covered by our Iron Clad Guarantee, which includes a Forever Warranty, 30-day test drive and free shell trades for life. 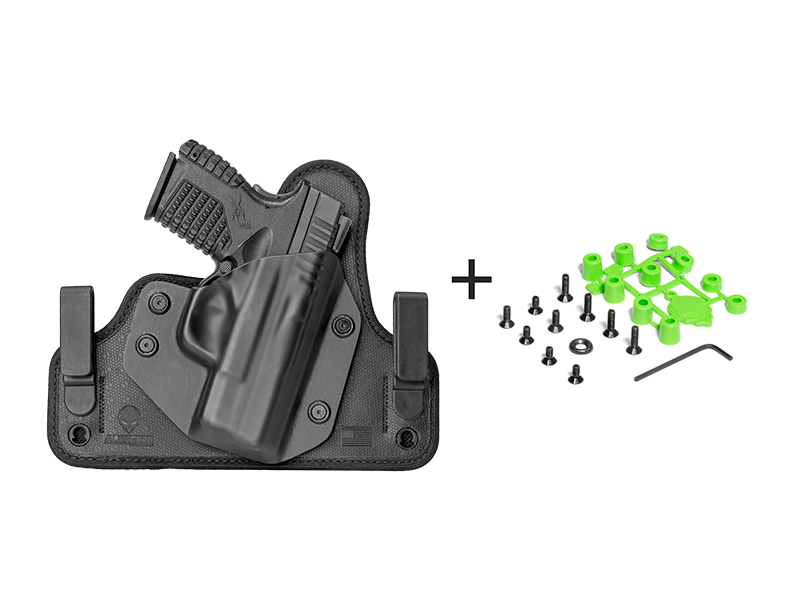 The Cloak Mod is a modular OWB holster that can be converted between a paddle holster and a belt slide holster by installing different attachments. Its design is the product of more than a year of research and development. Its base has a thermo elastomer retention membrane that seals in a steel flex plate for support. The paddle clip has a retention lip to keep it secured to the waist. 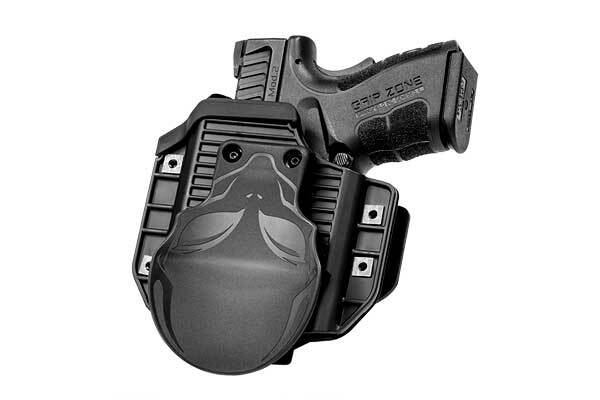 This prevents lethal threats from unhooking the holster from the beltline. 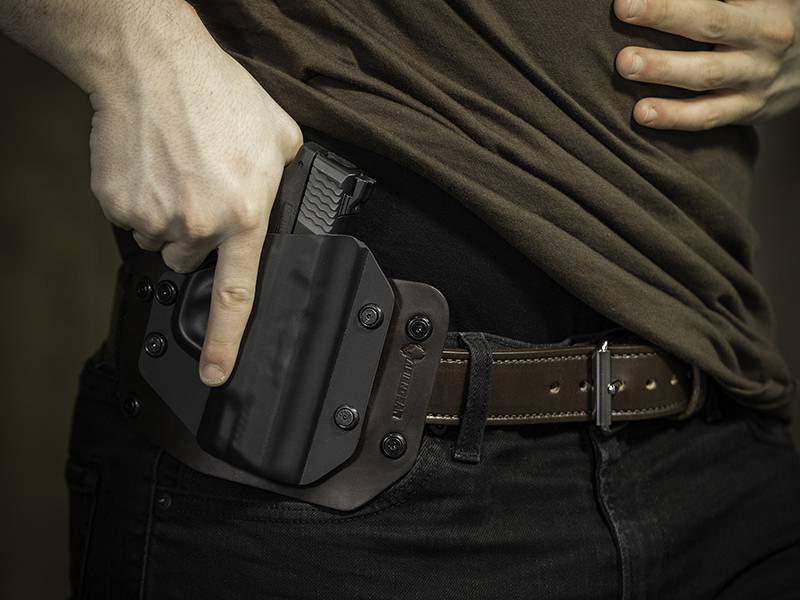 The Cloak Slide is a basic, straightforward belt slide holster with a leather backer. Its functionality is matched only by its simplistic efficiency. 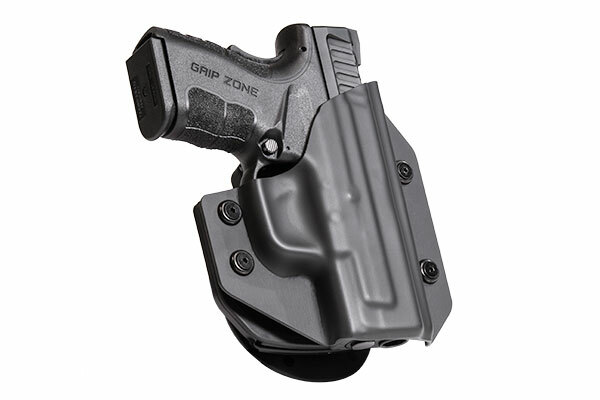 Like all holsters available for this handgun, it features a durable shell that can be swapped out for different models of handguns. 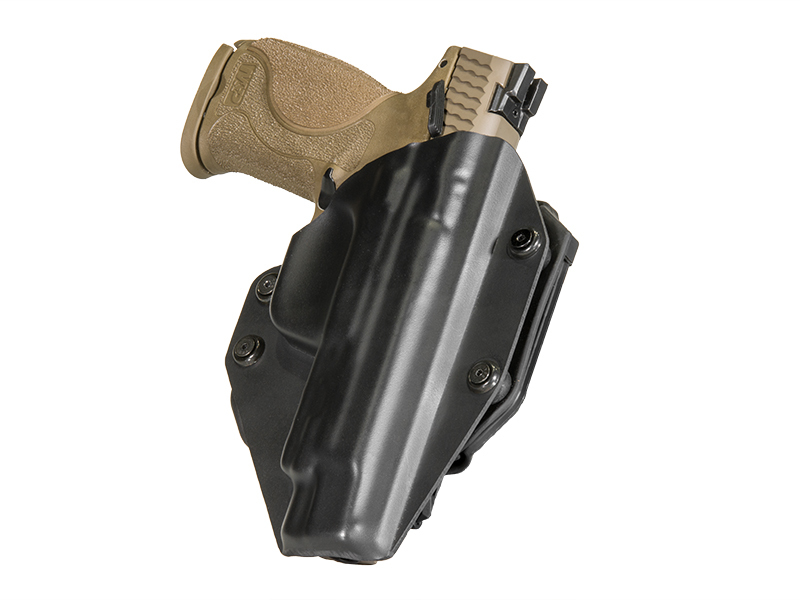 The patented Cloak Tuck 3.0 is an award-winning IWB holster constructed with a hybrid of carefully chosen materials. The comfortable backer is made of moisture-wicking neoprene the molds to the waistline, a layer of ballistic nylon for durability and strength, a spring steel core for malleable support and a front layer of resilient thermo elastomer that lends drag and retention. Adjust the retention with a few turns of a screw. Change the cant and ride height by raising and lowering the clips. The original Cloak Tuck is similar to the Cloak Slide: utilitarian functionality coupled with simplistic efficiency. It has a leather backer and a tough shell, and it comes with either nylon or steel clips. Our open and concealed carry equipment is designed to be the most affordable, reliable, comfortable and durable option for everyday carry.